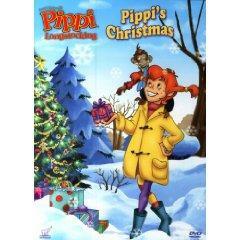 Pippi's Christmas DVD is a holiday favorite among adults and children alike. However, it is very difficult to find unless you know how to look for it and where to purchase out-of-print movies. Pippi Longstocking is a child's fictional storybook character created in 1945 by Swedish author Astrid Lindgren. She is extraordinarily strong, witty and just full of energy. She can be recognized by her trademark red braids and freckles. Many of the books and movies about Pippi surround her adventures in life after she is separated from her father, especially her sails on the South Seas. Based on the ongoing adventures of Pippi Longstocking, this 88-minute animated holiday movie was originally televised on HBO in August 1998. It is a story about how the young girl spends her first Christmas on land after spending her entire life sailing the Seven Seas (seven times!). She comes to the aid of local crooks Thunderkarlson and Bloom, who had nowhere to go for Christmas, showing them the true meaning of the holiday.